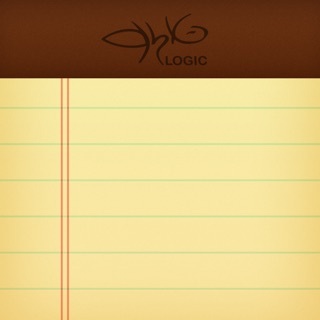 This app provides many features that the pre-installed notes app doesnt have - which is great! But… in terms of functionality, the software doesn’t run too smoothly. 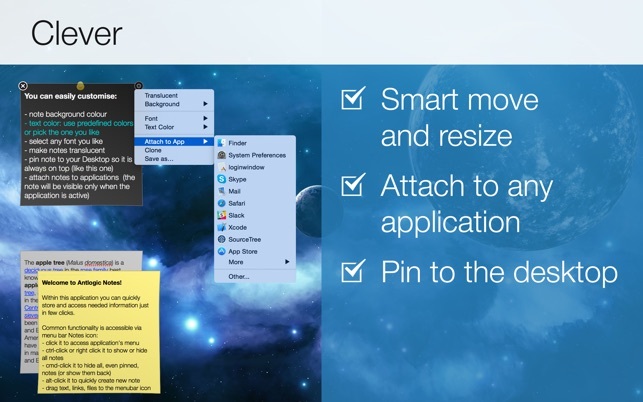 The settings button on the corner of the sticky note often dissapears, and no matter how many times you swipe your mouse over the corner, it will remain so. Also, sometimes, while the application is running, you are unable to access the manu bar; again, your curser can hover over it, but clicking on a menu item doesn’t do anything. 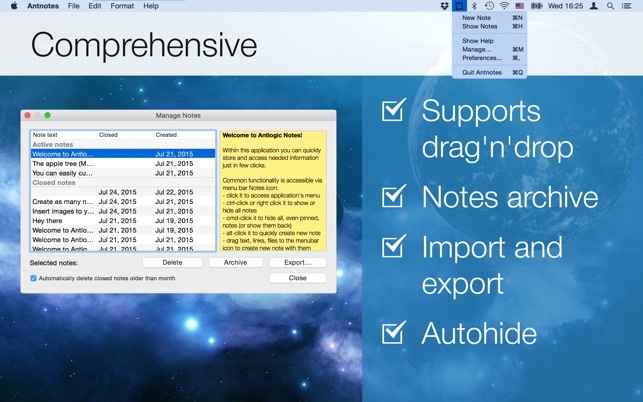 Overall, its nice to have an alternative to notes, but not sure if I would buy again, given the chance. This app is just what I’ve been looking for; simple, easy-to-use notes for my desktop to remind me of things I need to do. With all other to-do list apps, I’d have to remember to look for and open the app to see my notes. That’s too many steps for me to remember. With Antnotes, each morning when I open my computer, the first thing I see are my notes on my desktop. It’s perfect. And I love that I can customize the notes. I gladly paid for the app. It’s well worth it. Thank you!! WOW! 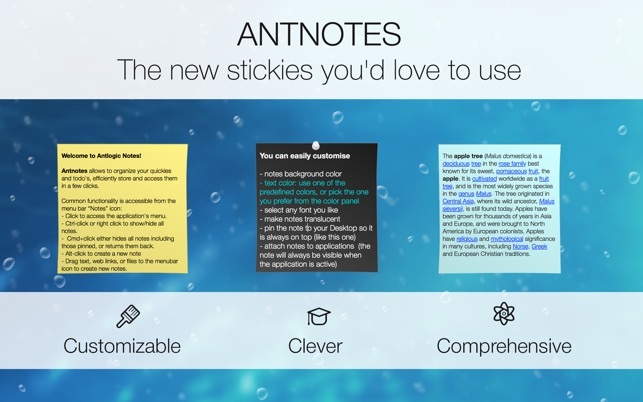 I tested Aantlogic stickies basic version for a month or two and just bought and found it made life easier for me so the full version today. 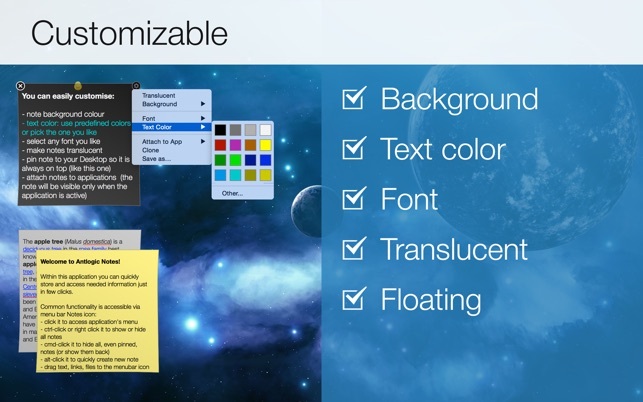 I can paste pictures, sounds, websites, podcastls, anything to a sticky and then attach the sticky to a project in Pages or Notes or any document. Speeds up all my work. So much better than the stickies that come with Macs. You can't go wrong for three bucks. Two thunbs up.